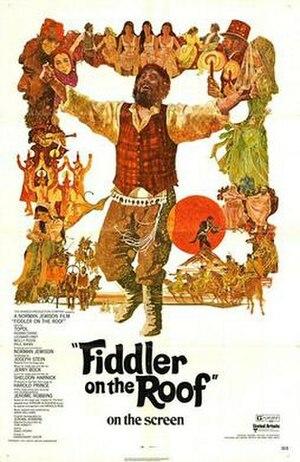 Tevye, the Jewish dairy farmer in the musical Fiddler on the Roof, lives with his wife and five daughters in czarist Russia. Change is taking place all around him, and the new patterns are nowhere more obvious to Tevye than in the relationship between the sexes. First, one of his daughters announces that she and a young tailor have pledged themselves to each other, even though Tevye had already promised her to the village butcher, a widower. Initially, Tevye will not hear of his daughter’s plans, but he finally has an argument with himself and decides to give in to the young lovers’ wishes. A second daughter also chooses the man she wants to marry. He is a revolutionary. Tevye is rather fond of him, and after another argument with himself he again concedes to the changing times. We all face times that if we bend anymore we will break. Breaking times need to be times of prayer and introspection. Answers to difficult questions should be considered and reconsidered many times before we decide there is no “other hand.” Far too many decisions are taken too lightly in this post-modern society. The monastics teach us to go into our “cells” and seek God with all our hearts.” When I have a truly difficult decision to make (or a problem), I often fast for a day, and occasionally even a few days.”(Thomas Merton) Remember, we must bend but God never asks us to break, only the world makes that demand.